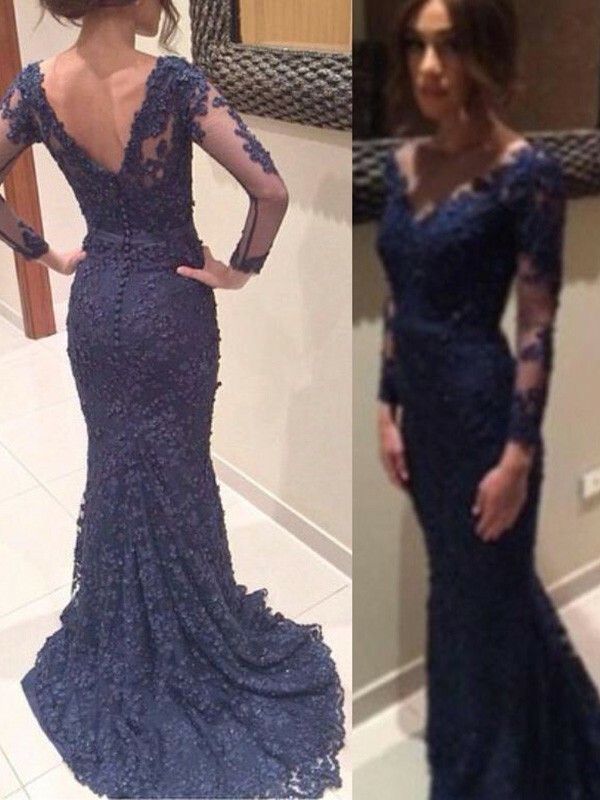 Cheap Dark Navy Lace V-neck Trumpet/Mermaid Sweep/Brush Train Dresses in Evening Dresses - Special Occasion Dresses at Bonnyin.co.za online South Africa with high quality and affordable price. Beautiful dress. Made very well. I got the dress one size larger than I wear and it is still to tight around the upper body to zip. This dress was beautiful the quality was impeccable.There wasn't any complaints about the dress and the delivery was amazing.